Tastefully remodeled single story home in beautiful family neighborhood!! This home has been transformed with an up to date open floorpan to boast the contemporary finishes. Entirely new roof, exterior paint, large gated front yard and professional landscaping are just a few of the exterior compliments of this home. Interior upgrades includes designer laminate flooring throughout, high profile baseboards, scraped ceilings, recessed lighting, fresh paint and new wall heating system. Entirely new kitchen with custom shaker cabinets, quartz counters, subway stile backsplash and matching Frigidaire stainless appliances. Both bathrooms have been remodeled and feature new lighting, cabinets, mirrors and stone accents showers and shower/tub. 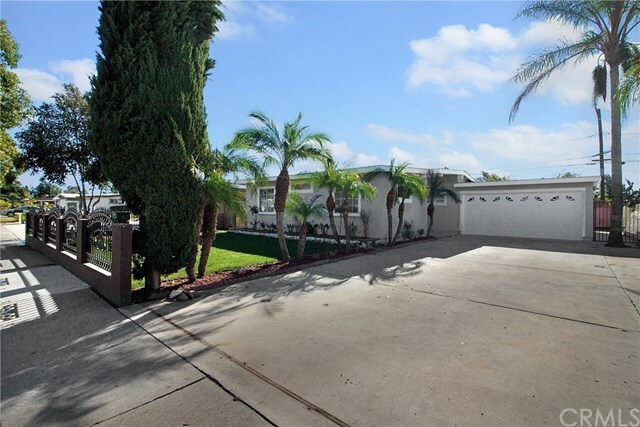 This home is completely turn key and located in a quiet family neighborhood. New roof, water heater, and much, much more. Directions: S RAITT ST & TURN RIGHT ON RAYMAR ST. PROPERTY IS ON THE RIGHT.